Guest Post: Couponing for Charity! Recently, I participated in a blogging campaign and part of the requirement was to use coupons to purchase items for a charity for children – one of my choosing. Honestly, I have never considered couponing for charity before this campaign. 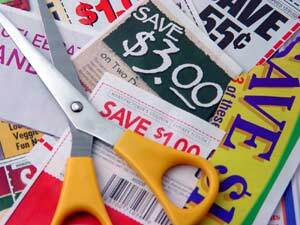 First, my husband hates coupons. Oh he loves the savings they provide our family, but he hates forgetting them at home or not finding the item on the coupon. Since he does at least half of the shopping for our family, I really do not press the issue; after all a peaceful home is more important, at least to me J. However, after our experience my girls and I want to try to coupon for items for charity every month as a way of giving back to our local community. This month we chose to give to a women and children’s shelter, which supports women and children who have suffered domestic violence. We purchase about $50 worth of product using coupons, but only saved about $5, which got me down a little since I know all you awesome couponers do much better than that! Nevertheless it was what it was because I did not plan well and tried to buy healthy food items and organic as much as possible. I wanted the food items to nourish the bodies of these women and children, not fill them with empty calories leaving them still hungry. That’s why we also purchase 100% pure fruit juice and 100% pure fruit/vegetable juice as a way to provide fruit and veggie servings in a practical, non-perishable way. Costco is where I purchased them in case you wanted to know where to find those things. We also gave from our pantry as at the beginning of the month I had ordered cases of ketchup and relish through our organic co-op (Azure Standard) and wanted to share half of what we bought as condiments were one of the items the shelter needed. The shelter’s website actually listed items they currently needed, which was very helpful. It was truly a wonderful feeling to drop off our donation knowing it was going to individuals who needed it. That’s the main reason why I am determined to do it regularly. There is also a food pantry in our town maybe we could rotate between the two charities! My question to all of you is, if you coupon regularly do you coupon for good? If so, please share your most recent experience. If you don’t, why not and will you consider it after reading about my experience? Theresa has been married for nearly 18 years and is mom to 8 beautiful children. She is also a WAHM (Work-At-Home-Mom). In addition to blogging, she is a Virtual Assistant with her own company as well as an independent contractor with Your USA VA. Her interests include: reading, writing, travel, education, being an entrepreneur, being self sufficient by growing her own food through farming and gardening. To learn more about her and her family visit her blogFaith and Family Reviews. Banana Boat Sunscreen just $4 at Amazon!